A stress test, sometimes called a treadmill test or exercise test, helps Dr. Randall find out how well your heart handles its workload. As your body works harder during the test, it requires more fuel and your heart has to pump more blood. The test can show if there’s a lack of blood supply through the arteries that go to the heart. Taking a stress test also helps Dr. Randall know the kind and level of physical activity that’s right for you. 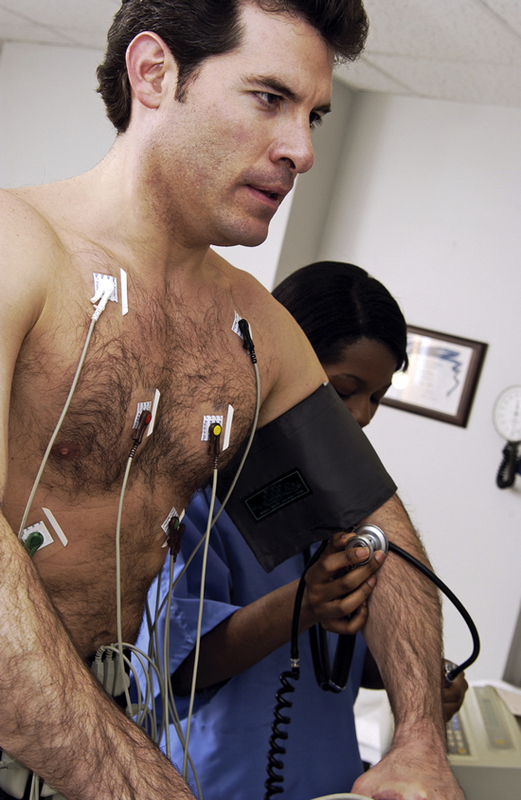 Dr. Randall usually will use stress testing to help diagnose coronary heart disease (CHD). They also use stress testing to find out the severity of CHD. CHD is a disease in which a waxy substance called plaque (plak) builds up in the coronary arteries. These arteries supply oxygen-rich blood to your heart. Plaque narrows the arteries and reduces blood flow to your heart muscle. The buildup of plaque also makes it more likely that blood clots will form in your arteries. Blood clots can mostly or completely block blood flow through an artery. This can lead to chest pain called angina or a heart attack.